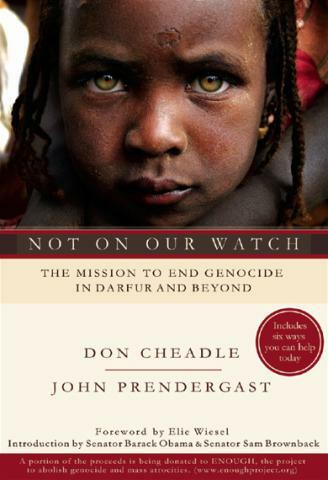 Don Cheadle teamed up with leading activist John Prendergast to focus the world's attention on genocide. Not on Our Watch, their empowering book, offers six strategies readers themselves can implement: Raise Awareness, Raise Funds, Write a Letter, Call for Divestment, Start an Organization and Lobby the Government. Each of these small actions can make a huge difference in the fate of a nation, and a people -- not only in Darfur, but in other crisis zones such as Somalia, Congo and northern Uganda.